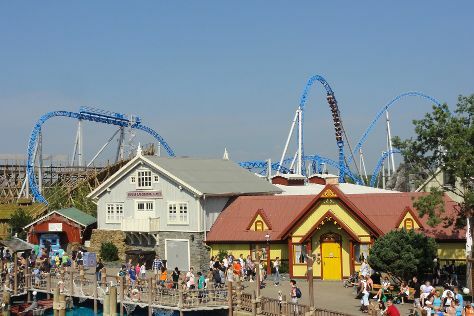 Hamburg is known for museums, sightseeing, historic sites, nature, and fun & games. Your plan includes some of its best attractions: examine the collection at Miniatur Wunderland, ponder the world of politics at Townhall, appreciate the extensive heritage of Alter Elbtunnel, and admire the landmark architecture of Speicherstadt. For ratings, traveler tips, maps, and tourist information, read Hamburg vacation builder. Montreal, Canada to Hamburg is an approximately 15.5-hour flight. The time zone changes from Eastern Standard Time to Central European Time, which is usually a 6 hour difference. Prepare for a bit cooler weather when traveling from Montreal in September: high temperatures in Hamburg hover around 21°C and lows are around 12°C. Wrap up your sightseeing on the 4th (Mon) to allow time to take a train to Berlin. Berlin is known for sightseeing, museums, historic sites, nightlife, and parks. 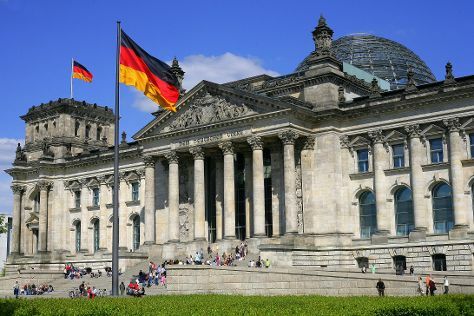 Your plan includes some of its best attractions: get a sense of history and politics at Reichstag Building, see the interesting displays at Topography of Terror, take in the local highlights with Walking tours, and stroll through Zoo Berlin. For photos, more things to do, ratings, and other tourist information, go to the Berlin trip itinerary maker. Take a train from Hamburg to Berlin in 2 hours. Alternatively, you can drive; or take a bus. In September in Berlin, expect temperatures between 22°C during the day and 12°C at night. Wrap up your sightseeing on the 9th (Sat) early enough to drive to Dresden. 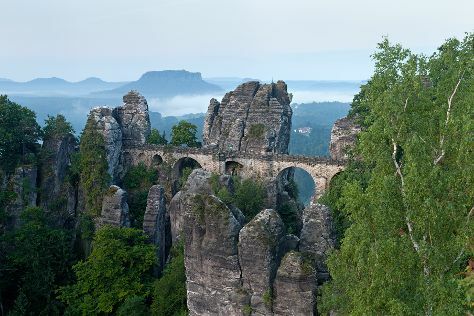 Change things up with these side-trips from Dresden: Bad Schandau (Basteigebiet & Elbe Sandstone Mountains). 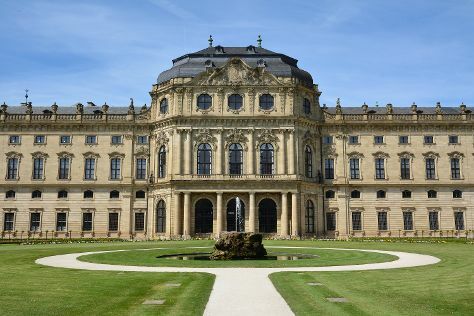 Next up on the itinerary: don't miss a visit to Zwinger, pause for some serene contemplation at Frauenkirche Dresden, admire the striking features of Pillnitz Castle & Park, and get outside with Standseilbahn. For other places to visit, traveler tips, reviews, and more tourist information, you can read our Dresden vacation builder. Drive from Berlin to Dresden in 2 hours. Alternatively, you can take a train; or take a bus. September in Dresden sees daily highs of 21°C and lows of 12°C at night. Finish your sightseeing early on the 14th (Thu) so you can travel to Cologne. 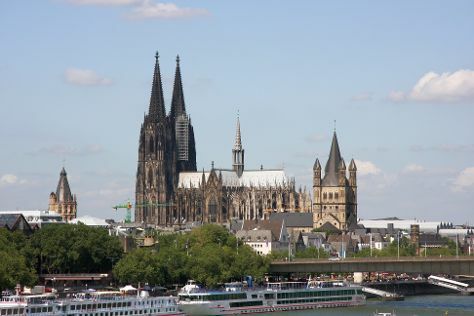 To see other places to visit, ratings, reviews, and other tourist information, you can read our Cologne vacation trip planner. Traveling by flight from Dresden to Cologne takes 3 hours. Alternatively, you can drive; or take a train. September in Cologne sees daily highs of 22°C and lows of 12°C at night. Wrap up your sightseeing on the 14th (Thu) early enough to drive to Baden-Baden. Change things up with these side-trips from Baden-Baden: Mercedes-Benz Museum (in Stuttgart) and Europa-Park (in Rust). There's still lots to do: examine the collection at Museum Frieder Burda, delve into the distant past at Burg Hohenbaden, try to win big at Casino Baden-Baden, and tour the pleasant surroundings at Lichtentaler Allee. To find more things to do, other places to visit, photos, and other tourist information, refer to the Baden-Baden holiday planner. You can drive from Cologne to Baden-Baden in 3 hours. Alternatively, you can take a train; or do a combination of bus and train. Expect a daytime high around 23°C in September, and nighttime lows around 13°C. Wrap up your sightseeing on the 18th (Mon) to allow time to drive to Wurzburg. Venture out of the city with trips to Rothenburg (Old Town, Stadt Rothenburg ob der Tauber, & more). And it doesn't end there: admire the natural beauty at Würzburg Residence, contemplate in the serene atmosphere at St. Kilian Cathedral, browse the exhibits of Marienburg Fortress, and pause for some serene contemplation at Neumünster. To see where to stay, traveler tips, maps, and other tourist information, read Wurzburg trip planner. Getting from Baden-Baden to Wurzburg by car takes about 2.5 hours. Other options: take a train; or do a combination of train and bus. In September, daily temperatures in Wurzburg can reach 21°C, while at night they dip to 11°C. Finish up your sightseeing early on the 22nd (Fri) so you can catch the train to Nuremberg. Nuremberg is known for historic sites, museums, sightseeing, shopping, and zoos & aquariums. Your plan includes some of its best attractions: explore the historical opulence of Imperial Castle of Nuremberg, see the interesting displays at Nuremberg Toy Museum (Spielzeugmuseum), don't miss a visit to Altstadt, and steep yourself in history at Reichsparteigelande (Nazi Party Rally Grounds). To find ratings, traveler tips, photos, and more tourist information, read Nuremberg sightseeing planner. You can take a train from Wurzburg to Nuremberg in an hour. Alternatively, you can drive; or take a bus. In September, plan for daily highs up to 23°C, and evening lows to 11°C. Finish your sightseeing early on the 25th (Mon) so you can take a train to Munich. Munich is known for sightseeing, museums, nature, nightlife, and historic sites. Your plan includes some of its best attractions: don't miss a visit to Marienplatz, get curious at Deutsches Museum, see the interesting displays at BMW Welt, and admire the striking features of St. Peter's Church. To see maps, other places to visit, photos, and tourist information, refer to the Munich holiday planner. Traveling by train from Nuremberg to Munich takes 1.5 hours. Alternatively, you can drive; or take a bus. In September, plan for daily highs up to 22°C, and evening lows to 9°C. Finish your sightseeing early on the 30th (Sat) to allow enough time to travel back home.